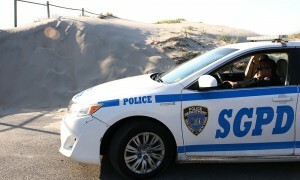 Officer Jeffery Schneider scoured the most vulnerable streets of Sea Gate, New York City’s first gated community, slowly rolling his marked car past sand-bound cul-de-sacs, foreclosed houses and along sand drifts that made reaches of Sea Gate’s high fence, susceptible to breach. When dispatch reported a woman of interest who had been been removed for trespassing days before, had just entered the community in a taxi, Schneider, along with four other officers in two other cars, answered the call. The woman turned spotted by the guards out not to be the suspect, but the scenario was a snapshot of what sets the Sea Gate Police Department apart from the New York Police Department. “You see how quickly we reacted to that?” said Officer Schneider as we drove away. “That kind of call takes the NYPD an hour to respond to unless it’s a robbery-in-progress or something just as big.” Schneider would know; he was a NYPD officer for over 20 years. On a city map, nothing separates the neighborhood of Coney Island from the private community of Sea Gate. The gated area is on the western edge of the peninsula in Southern Brooklyn that Coney Island sits on. But at West 37th street’s intersections with Surf and Mermaid Avenues, roadblocks housed by brick and metal gates manned by Sea Gate policemen completely close Sea Gate off from the rest of Coney Island. 4/7/15- The main entry point to the community of Sea Gate is located at the intersection of Surf Avenue and 37th Street. 4/7/15- A collection of awards and plaques adorn the walls of the Sea Gate Police Department headquarters. 4/7/15- SGPD Sergeant Jeffery Schneider was a NYPD officer for over 20 years. He is in his third year with the Sea Gate Police Department. 4/7/15- Sergeant Schneider responds to sighting of a person of interest entering the gate. 4/7/15- Sergeant Schneider coordinates with a foot patrol officer patroling the neighborhood. 4/7/15- Because of the sand dune, the northeastern corner of Sea Gate is vulnerable to breach. This is one of the most heavily patrolled areas of the community. 5/7/15- A Sea Gate Police Officer mans the primary entrance to the gated community. The main gate is located at the intersection of West 37th street and Surf Avenue. 4/7/15- The second of Sea Gate’s two points of entry is located at the corner of West 37th street and Mermaid Avenue. The Sea Gate Police Department patrol and protect Sea Gate’s nearly 5,000 residents, who are predominantly Russian and orthodox Jewish. A large part of how they do that is by bottlenecking pedestrian and auto traffic into the community. It is an element of law enforcement separate from the New York Police Department. The Sea Gate Police Department was founded in 1899. It is a law enforcement agency made up patrol officers, supervisors and a detective unit that investigate crimes that occur within Sea Gate’s jurisdiction. The officers are made up of retired police officers and New York State peace officers. The unit answers to the Sea Gate Association, and are funded by part of the annual dues that Seagate residents pay. The due is 13 percent of the value of the resident’s property. There are 35 members of the SGPD. Eleven of those, including Chief Jeffery Fortunato, are retired New York Police Department officers. The other 24 are New York State Peace officers. New York State Peace officers complete a 100+ hour certification course spread over two months to earn some of the authority that NYPD officers wield. 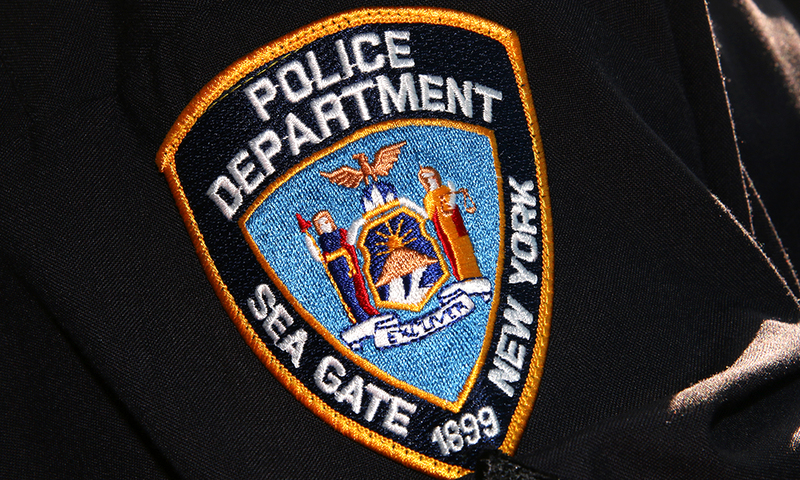 Sea Gate Police officers have the same power as the NYPD within the community. 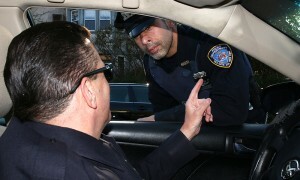 They are authorized to make arrests, make car stops on Sea Gate property and issue summonses. They may carry a firearm, batons, pepper spray, and handcuffs. When an arrest is made, any on duty SGPD officer is able to take a suspect to the 60th Precinct, located on 8th street just north of Surf Avenue, for processing. “While on duty, we are full blown police within the confines of doing our job. The only difference between Peace Officers and NYPD Officers is the duration of training,” said Joseph Battista, a 25-year-old SGPD Officer. Battista wants to join the NYPD, and has spent the last two years with the SGPD gaining experience. Officer Schneider, a NYPD officer for over 20 years, spent time in precincts over Brooklyn. He spent two years in Coney Island’s 60th Precinct in the 1980. The SGPD have a much more positive relationship with the people of Sea Gate than the NYPD has with the rest of Coney Island. Residents all over the community recognized and waved at him. Schneider always slowed down to return the gesture. A woman came up to Schneider and told him that her child’s scooter, which she’d reported stolen two days before, had been returned by a neighbor. Still, some Sea Gate residents see the SGPD as unnecessary, saying it serves to alienate Sea Gate from the rest of the area. Wayne Gibbons, a Sea Gate resident since 1998, lives on Atlantic Avenue, one of the community’s most traveled roads. He says that in nearly 17 years there, he’s never seen the SGPD do more than write tickets, pull over speeders and question pedestrians they don’t recognize. The practice of the booth policeman asking for the identification and address of every non-resident at the gate is invasive by nature, but ineffective due to inconsistency. Many officers do follow protocol and request the aforementioned from every visitor, no matter how familiar. However, some officers wave people through without either. It comes down to the individual. Gibbons says that he thinks that the Sea Gate Police work more to keep general mobility between Sea Gate’s territory and the rest of Coney Island stagnant than it does to provide any real layer of safety. Sea Gate officers are relics of a New York City long past, but with every resident interaction, they prove their value in maintaining the dynamic of Sea Gate as a secure and private community on the edge on one of New York City’s most underserved areas.